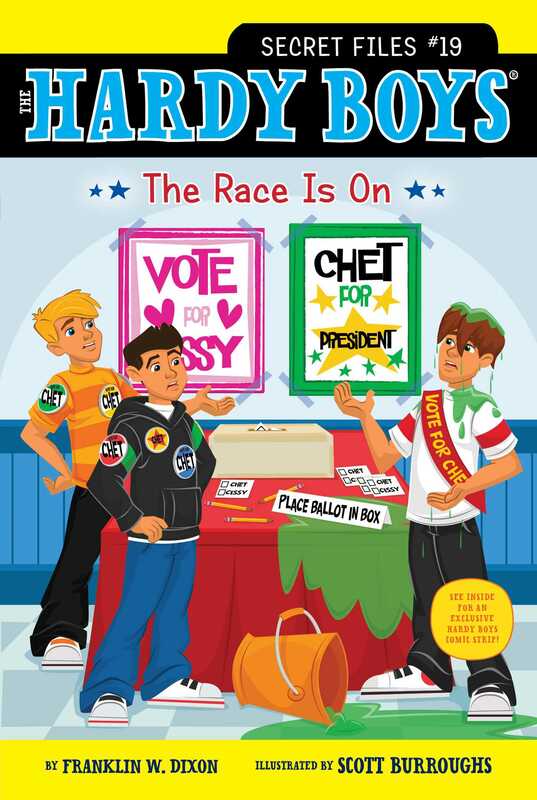 Frank and Joe vote to solve the mystery of who sabotaged their friend’s election speech in this Hardy Boys Secret Files adventure. The Bayport Elementary elections are coming up, and Chet Morton is running for class president against Cissy Cimero. Frank and Joe have done everything they can to help their friend. They’ve made posters, handed out buttons, and helped him write one of the best campaign speeches in Bayport history. When the day of the election finally comes, they know every vote will count. But when Chet gets a rude surprise during his speech, everyone is shocked. Who would want to ruin Chet’s speech? And how did he or she manage to pull off the prank? Can Frank and Joe figure out what happened before the election is called in Cissy’s favor?